Soccer ball sports ball-shaped bottle opener. 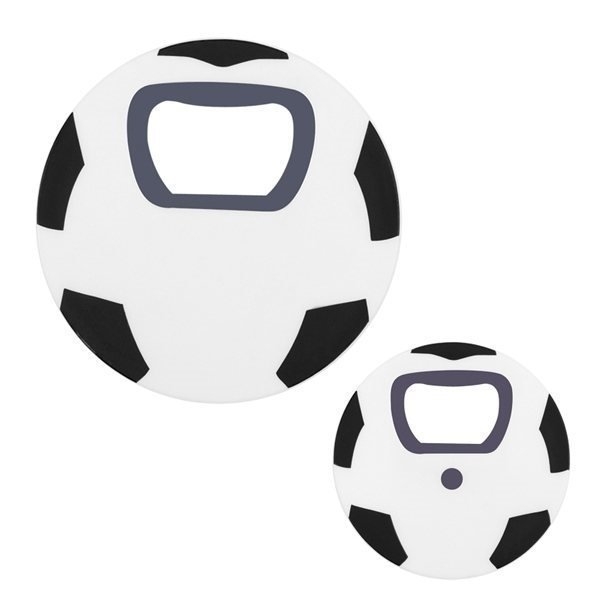 Features soccer ball stock art pre-printed on both sides. the service representative was very polite, pleasant and helpful even for such a small order. Felt like the staff went out of their way to take care of me! My repetition ensured the colors were done how I had asked. I am extremely happy with the product! And Veronica was awesome! My client were ecstatic with the quality of this item. Everything was done quickly, it was a last minute order and everything came out very well. My order was high-quality and shipped quickly. They came out just as advertised. Perfect Promotional Item!